Using only natural and highly effective ingredients from rich fruits & flowers for pampering and nourishing the skin, this scrub wills give your body a healthy silky glow. Increases Hydration and helps firming the skin naturally. Give your body the attention it deserves. The purpose of cleansing the body is not only to wash away the excreted wastes, dead skin cells, and accumulated dust and dirt from the surface of the skin, but to also detoxify the skin from damaging germs, bacteria, fungi, and viruses. Surprisingly, this can be accomplished with our range of scrubs. Enjoy our scrub enriched with the finest ingredients that act as antioxidants, help slow down aging, rebuild the skin, retain skin moisture and add elasticity. We promise to give you a new you at the end of this therapy. This treatment is specifically designed to detoxify, hydrate, rejuvenate, and infuse the skin with antioxidants and nutrients. We welcome you for our range of Body Wraps specially designed for those who care for themselves and so we care for them. 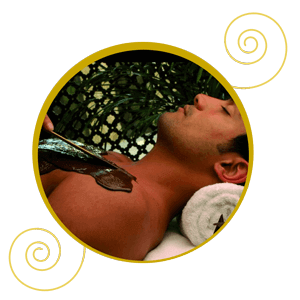 The essential minerals in this treatment absorb toxins and waste products and eliminate it from your body. Pamper yourself with this spa treatment, designed not just for those who are worried about their dark skin but also for those who aim to get noticed amongst the crowd. We promise to give your skin that luminous glow which you always dreamt for. 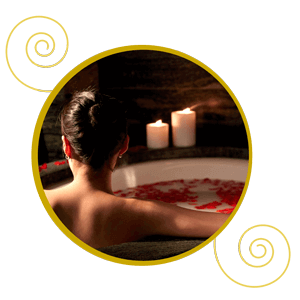 Sink into a hydrotherapy tub with multiple jets to release your muscle stiffness and to invigorate your senses with a complete paradise experience of our Jacuzzi. Not just that but it will also really help sooth your body, mind, and spirit, while drawing out harmful toxins from your body. It will help you regain your energy and strength.